Denver summers are no joke, and far from the brutally cold winters that we’re used to, which is what makes having an HVAC unit so incredibly important. While it’s something that we all enjoy, it isn’t uncommon for people to find ways that they can save energy while still keeping their house at a comfortable temperature. At Premier Heating and Air, we know that the comfort of your home is always the top priority, so we wanted to provide you with a few ways that you’ll be able to maintain a comfortable temperature in your home while keeping from breaking the bank throughout the year. 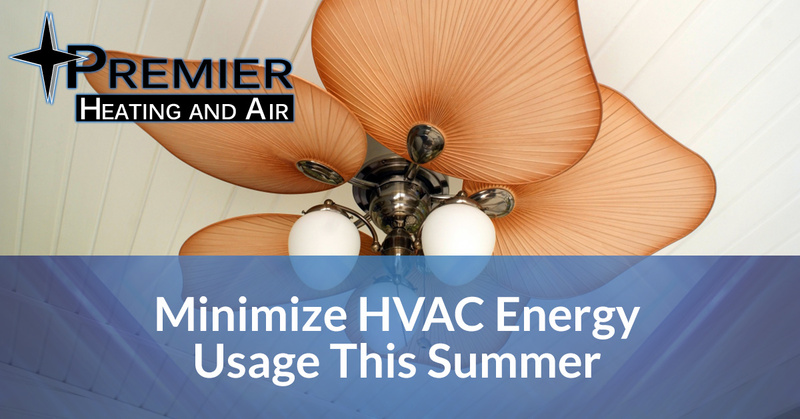 While fans are known for keeping a space cool, they can be used to save energy and make the most of the already cool temperature that your house has. Every fan is able to switch directions, and while it seems like it wouldn’t make a huge difference, each direction will provide you with different results. In the summer, when you’re running your HVAC for cool air, you’re going to want to have your fan blades going counterclockwise. This makes it so that all warm air rises and the cool air remains on the standard level of the house. You will be surprised just how much this contributes to the cool temperature of your home. When a home is having a difficult time keeping cool, people often think that it has something to do with which vents they have open and which they don’t. The truth of the matter is that it does make a difference whether or not your vents are open, and keeping some closed while others are open can actually create more work for your HVAC unit, resulting in more cost. Rather than trying to open certain vents and closing others, open your vents so that they are able to push cool air through your home and keep your HVAC unit from having to do any extra work. 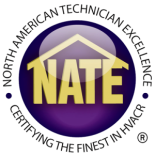 Maintenance is another key part of your HVAC unit working well. If you haven’t had your unit checked in awhile, you need to call Premier Heating and Air in Denver so that we can ensure that your unit is ready for the heat that summer is about to bring.